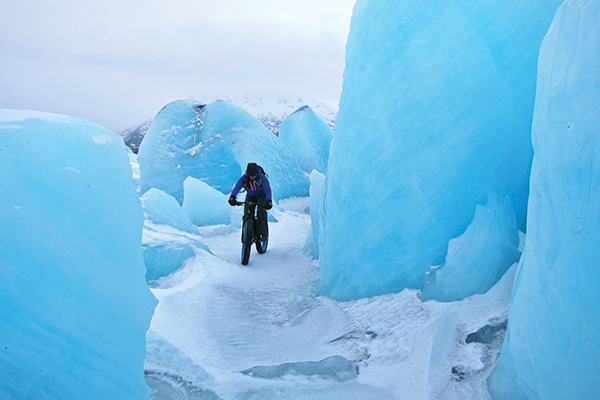 Early spring riding in Alaska’s rugged Chugach Mountains on a fat bike uncover the “alien icescapes of Knik Glacier” east of Anchorage. Second place winner by Anna Edmonds. The complete list of the 5th Annual Photo Contest Winners | Adventure Cycling Association. This is indeed a Grand Lady. 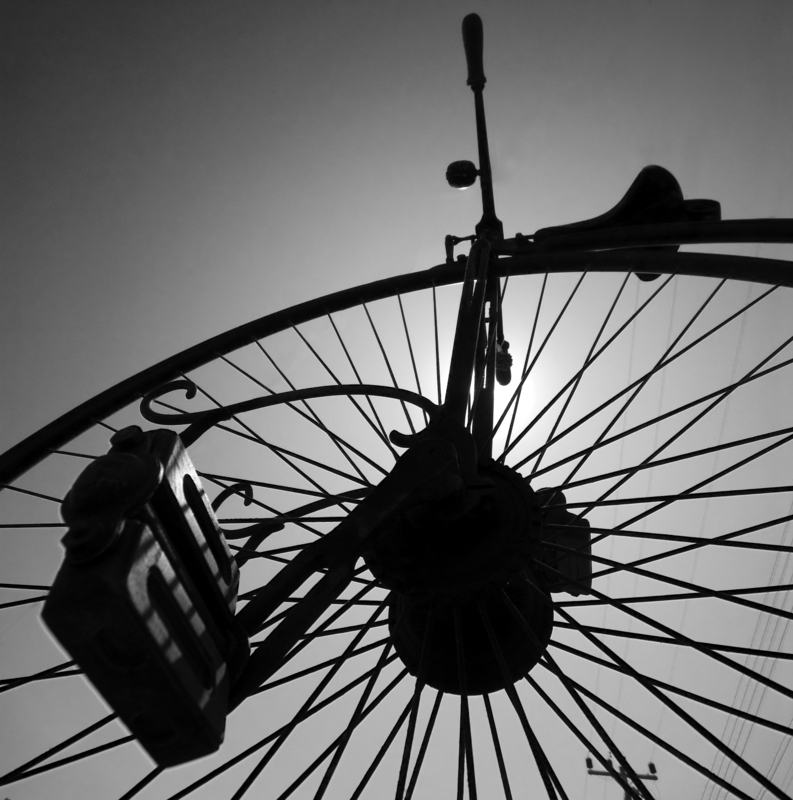 Launched in 1870, the Grand-Bi is one of the ancestors of the bicycle. Imagine young women, wearing long dresses and large hats, trying to make that huge wheel turn by pushing that tiny crank! I found this one at an antique dealer in Hua Hin. The owner was more than happy to have me photograph it on the street in front of his shop.